Note: All dimensions are fractionally accurate to within ¼ inch. 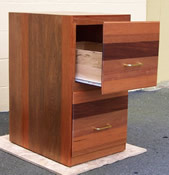 Types of Wood are specific to exterior wood with the file drawer in the closed position. 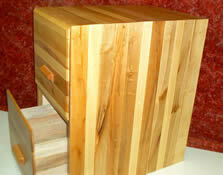 The interior drawer boxes will be oak, maple, beech or others. Pull handles will be polished brass. The back of the cabinet will be luan panel. 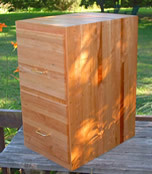 To order a File Cabinet, Legal Size in Oak 22” deep, would be item 22L Oak at $338.00 plus shipping. All pricing includes packaging. Due to the size and weight of the cabinet exact shipping costs will be calculated when the destination zip code is provided.